Carnegie Library, North St., Swords, Co. Dublin, Ireland. Cheques should be made out to Swords Historical Society Ltd.
SWORDS HISTORICAL SOCIETY is thirty years old having been founded in 1982. Since then the voluntary group has spearheaded many projects keeping within their brief to promote, record and research the history of Swords. Their achievements so far include; Opening of Swords Museum at the Carnegie Library in 1987; Initiating Fingal Genealogy Project 1988; Oral History Project (Swords Voices) 1992. They are represented on Fingal Co. Council’s Heritage Forum, Fingal Heritage Network and Board of the Irish Family History Foundation. 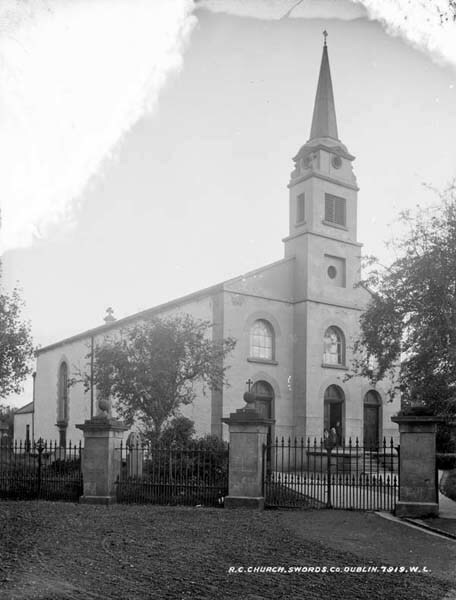 If you would like to support this important work in the community, ensuring future generations will have recorded knowledge of their ancestors and social history of the area, why not join Swords Historical Society –Membership Fee if €10.00 per annum. 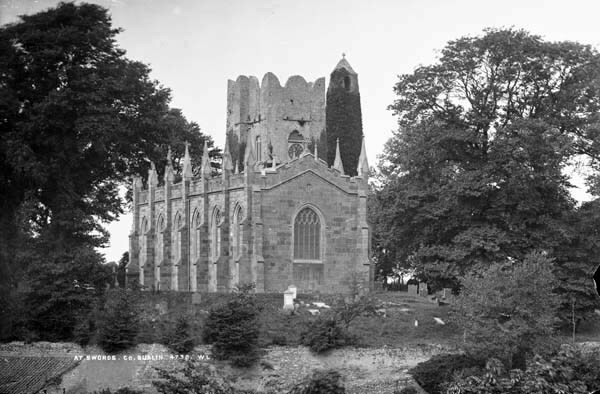 A HARD AULD STATION or MUSINGS ON ST. COLMCILLE’S CHURCH. SWORDS was published 8 years ago. The history of the church which was built in 1837 is presented by giving a family history of the donors of the Stations of the Cross c1882. Taylors and Forsters of Swords House. 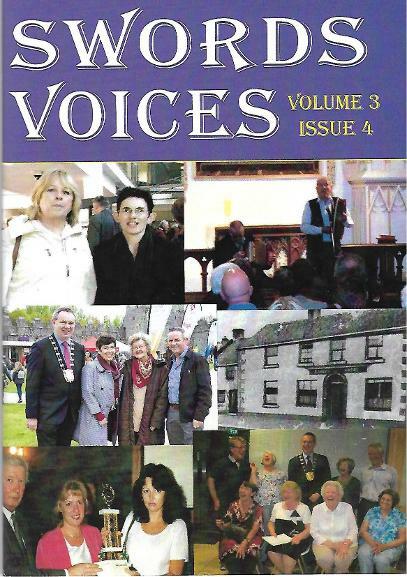 The Book containes numerous colour and black & white photos of past priests, school photos a various people who contributed to the life of the parish over the years. If your ancestors came from North Dublin, why not let us trace your roots. €20.00 covers the cost of an initial search of our records, which include Parish Registers, Headstone Inscriptions, Interment Records, Swords Roll Books and Apprenticeship records. Dog Licence Registers, Vaccination Records. We also have wide experience of local history, local names, place names, and ‘great houses’. If you wish to avail of our service we will let you know promptly if we can help you. 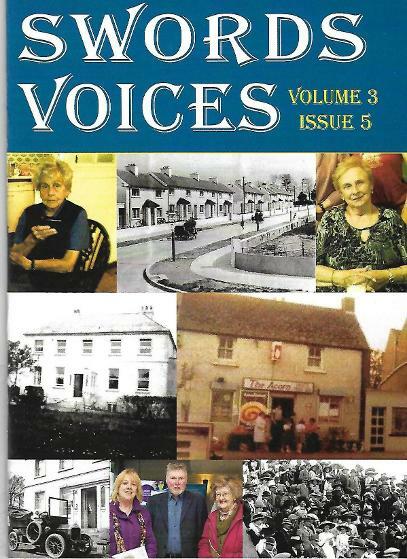 ‘SWORDS VOICES’ our annual publication, now in its nineteenth year is well worth a read to those who wish to hear about the ancient town from those who have experienced its evolvement into what it is today. The stories we present here are just a small sample of the subjects covered, as well as areas outside Swords. Swords Voices 1 to 6 are out of print, but others are from No 7 to 18. 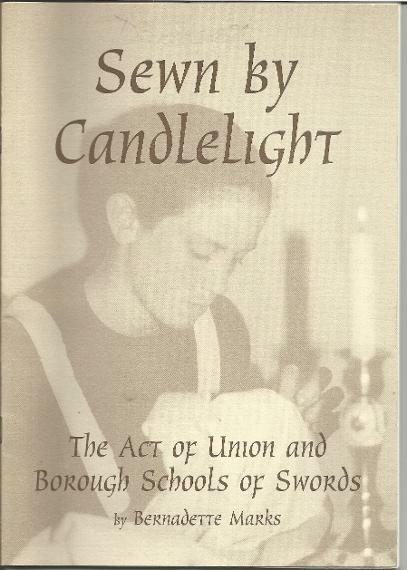 They cost €7.00 each including postage.. All the books are told in the contributors’own words and are interspersed with lovely old photos illustrating Swords now long gone. 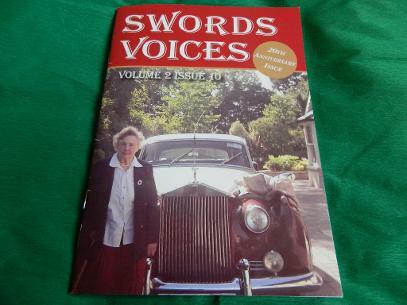 The current issue of Swords Voices 2018 is now available at The Card & Party Shop, Main Street & Swords Museum, Carnegie Library, North street Swords. Phone (01) 8400080. A great read @ €5.00. Read about the Swords of yesteryear. 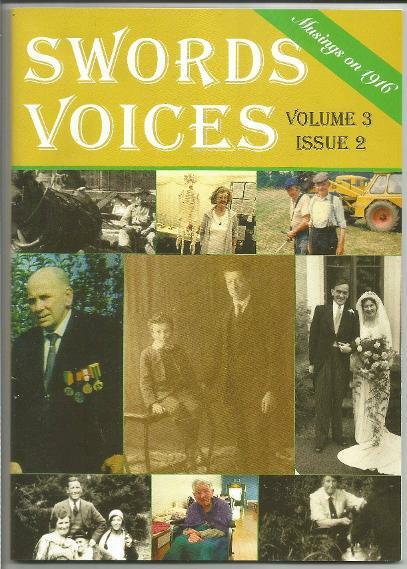 SWORDS VOICES – Vol.3. Issue 4 is now available. This is the 24th in the series of memories of ‘old Swords’ told by those who experienced the vicissitudes of life in our growing North Dublin (Fingal) town. The colourful cover illustrates the various Projects we have been involved in during the past year. 1. Geraldine & Mary at the Launch of Fingal photographic Exhibition. 2. Vinnie Delaney who died during the year, was an ardent supporter. Here he is playing his bodhran at an event in St. Columba’s Church. 3. Our group contributed to Fingal Co. Council’s Crinniu na Caisge at Easter. 4 Changes on Main Street, Early’s Hotel, now long gone. ( read about it in the book). 5. 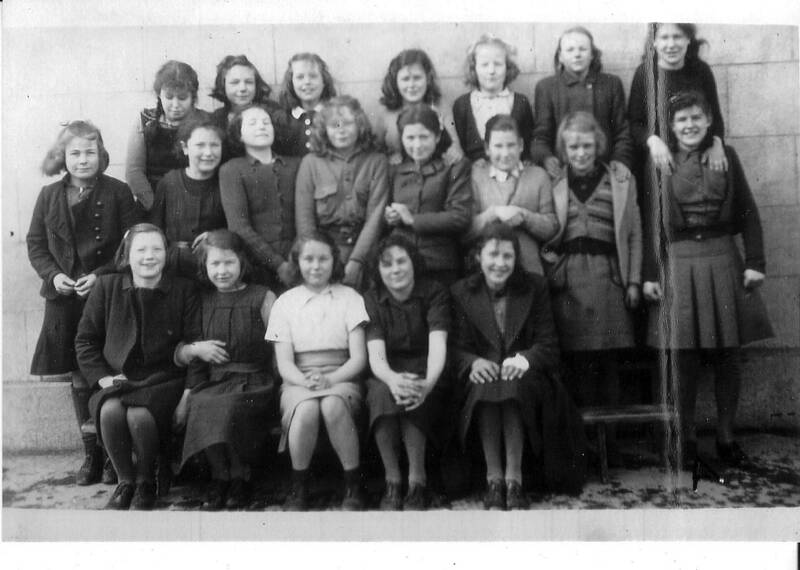 Excitement when Maria Hoey had her book published; she Won our competition in 1995. 6. 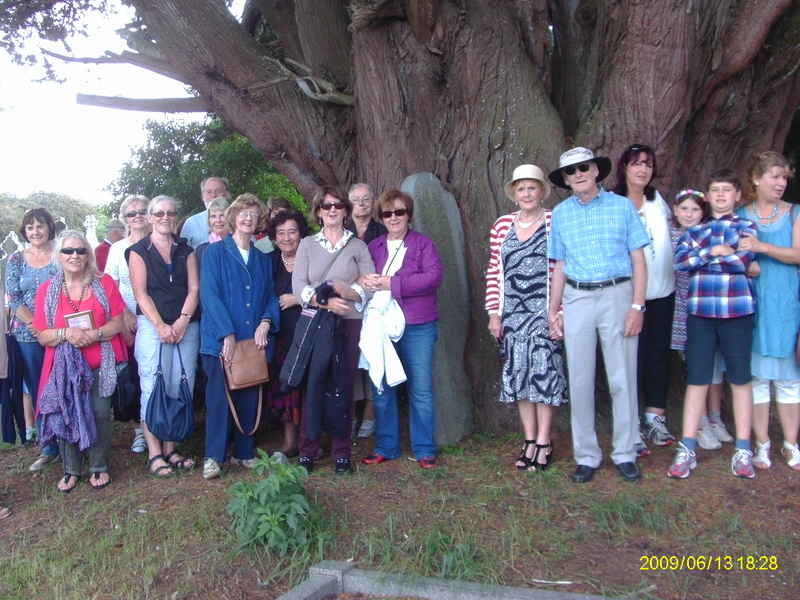 Funny picture of members of Fingal Heritage Network who has representatives from Heritage Groups all over Fingal.